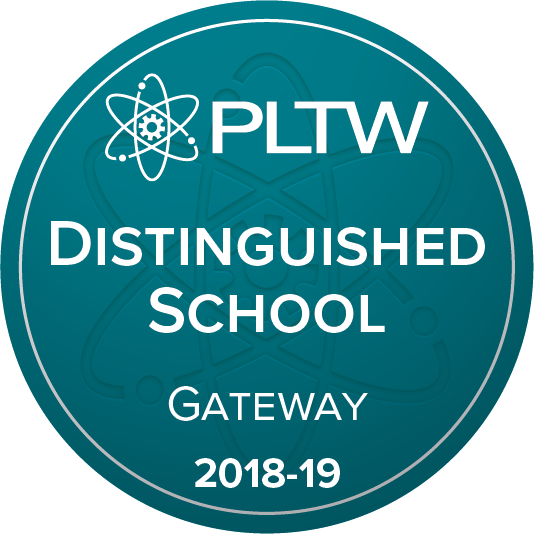 RJHS is proud to announce that it has been recognized as a Project Lead The Way (PLTW) Distinguished School for providing broad access to transformative learning opportunities for students through PLTW GatewayTM. It is one of just 148 middle schools across the U.S. to receive this honor. This is a very big honor given to PLTW schools & districts who meet very strict criteria. There are only 14 schools/districts that are on the list as PLTW Distinguished Schools/Districts in AR, and 3 of them are in RSD!! RJHS is part of a community of PreK-12 schools, colleges and universities, and corporate and philanthropic partners across the country united around a passion for providing students with inspiring, engaging, and empowering learning opportunities. For more information about PLTW’s recognition program, visit pltw.org/our-programs/program-recognition. Congratulations everyone on all the hard work it took to make this happen!! We have the best team here at RJHS!